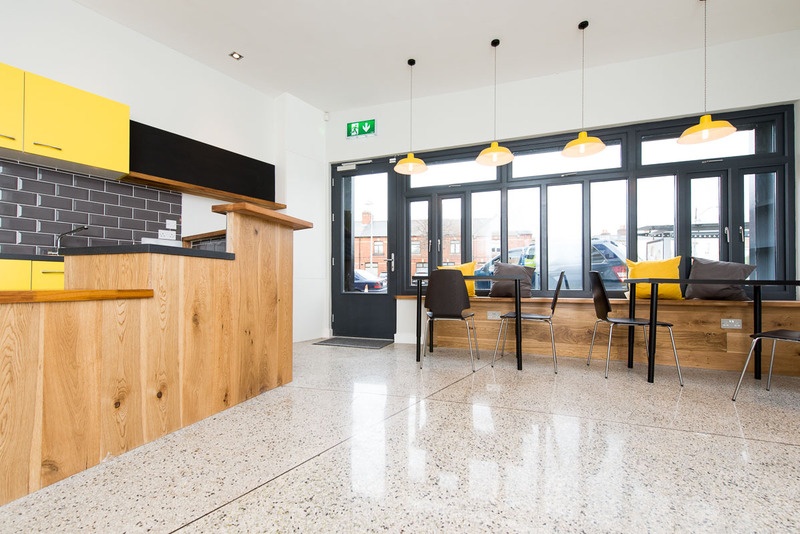 Our clients, Ringsend Irishtown Community Centre, developed an existing office building at 15 Irishtown Road into a Youth Cafe. 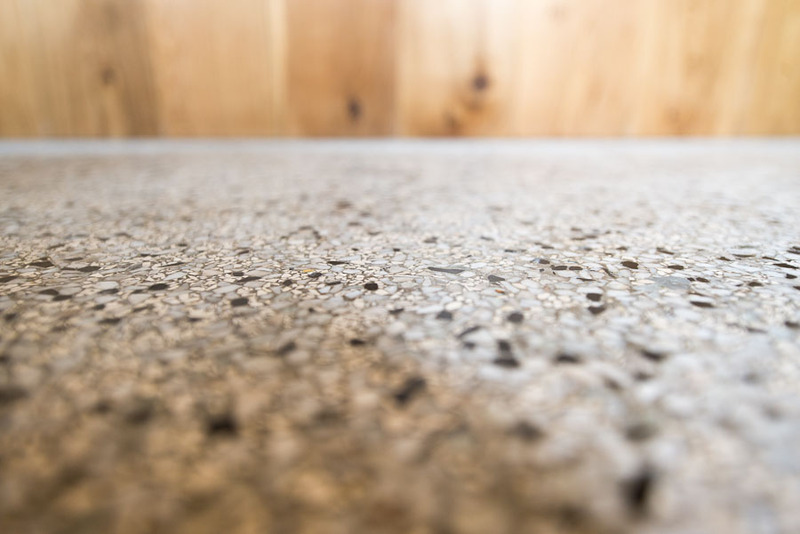 The original use of the building was a butcher shop and on stripping back the office fit out we uncovered the original butcher’s floor – a beautiful terrazzo which was restored to the cafe area. 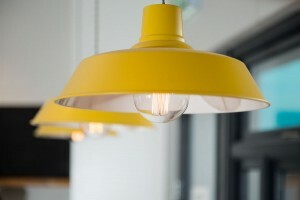 The fitted furniture and light fittings were designed and specified to form a simple, fresh material palette. We also designed the shopfront graphics and the new yellow tiling was designed and handmade by local ceramics artist Stephanie Mc Guinness at Cogent. We were delighted to be part of this valuable community project – the Youth Cafe acts as a hang out space and service provider to the local teenagers. 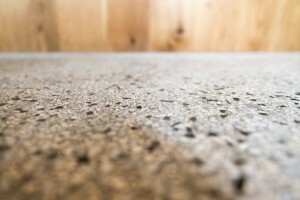 The development, along with the cafe to the street, includes a games room, counselling rooms and band practice rooms. 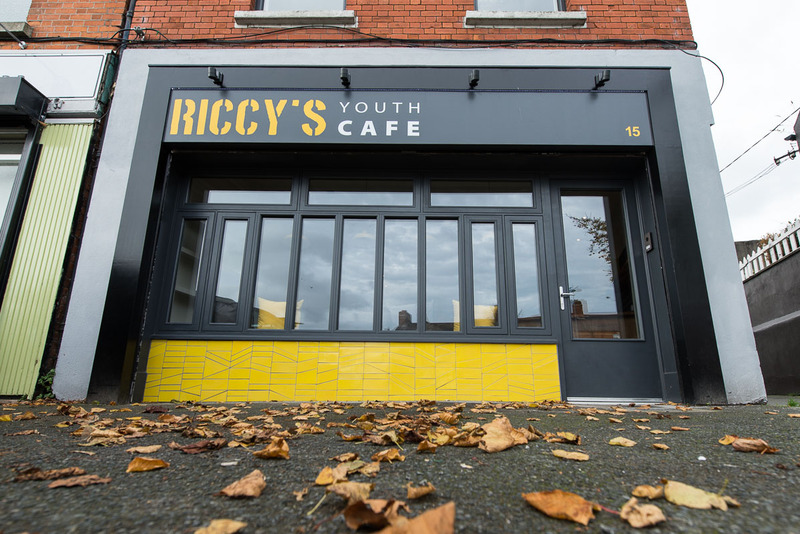 Wishing all at Riccy’s Youth Cafe the very best!